Forgiveness is a new beginning and not a photocopy which is identically reproduced in every passage through the confessional. We pass from being alone with our miseries and accusers, like the woman in the Gospel, to being raised up and encouraged by the Lord, who grants us a new start. 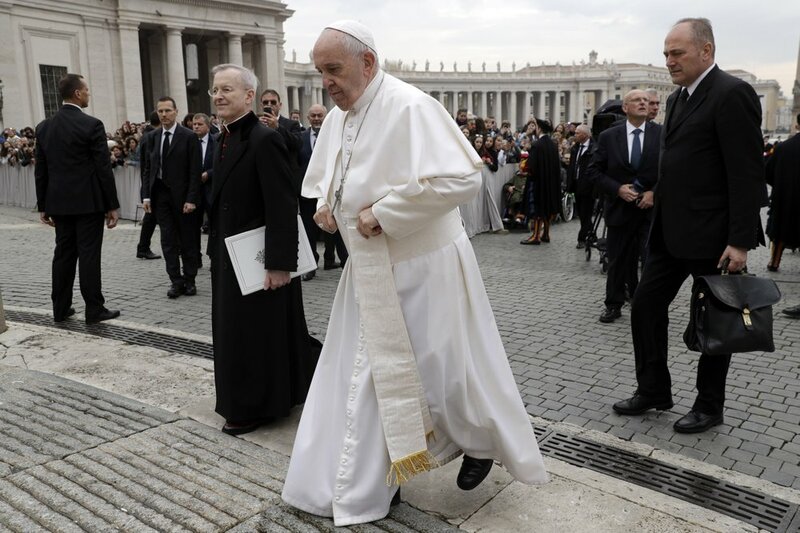 Pope Francis invites Christians to contemplate the image of Jesus crucified on the cross as a reminder that Christ did not point fingers at those who were sinful, but instead stretched out his arms and bore the weight of those sins upon himself. The Lord knows us, however; he knows that the interior struggle is difficult, that we are weak and inclined to fall, that we often relapse into doing what is wrong. So, he proposes that we begin to relapse into goodness, into asking for mercy.